My name is Wim VAN PAEPEGEM and I am full professor in the Mechanics of Materials and Structures research group at Ghent University in Belgium. The Mechanics of Materials and Structures research group is part of the Department of Materials, Textiles and Chemical Engineering (Match). This department belongs to the Faculty of Engineering and Architecture at Ghent University. 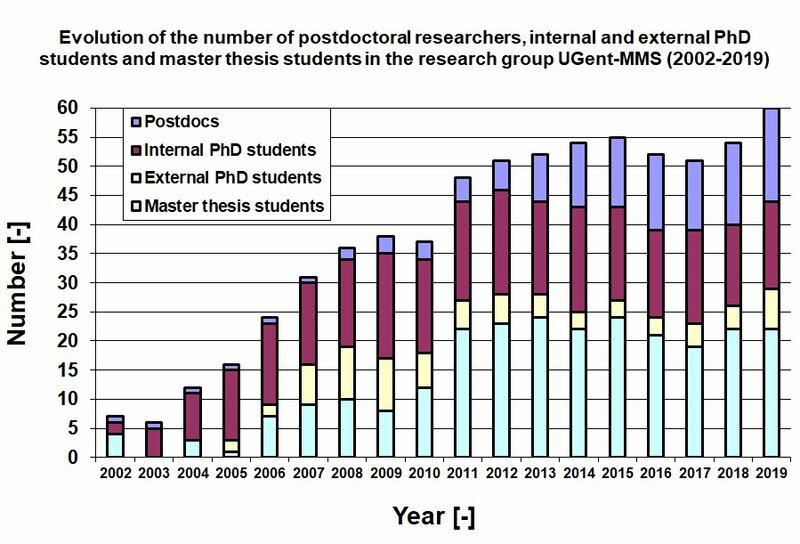 The chart below shows the evolution of the number of researchers over the past years.